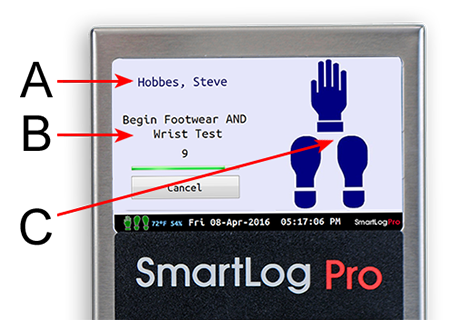 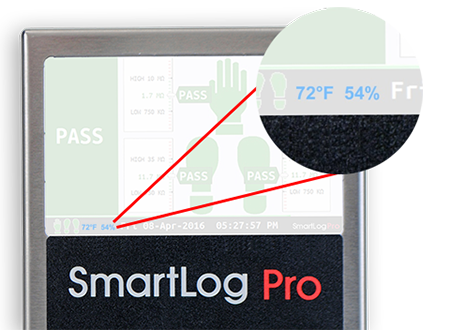 The SmartLog Pro® verifies the functionality of an operator’s wrist strap and footwear, logs the test results, and controls access to an ESD Protected Area. 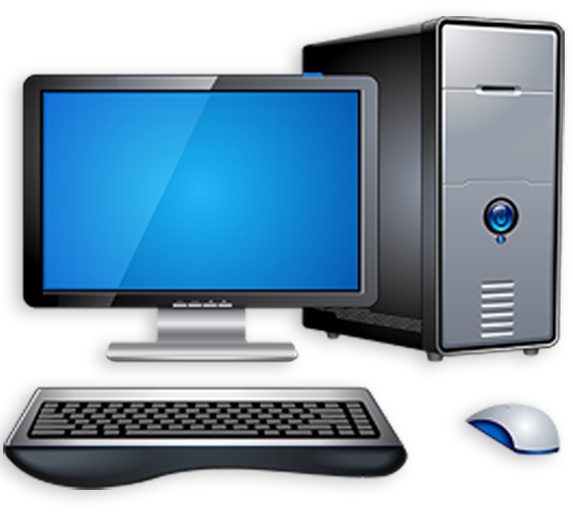 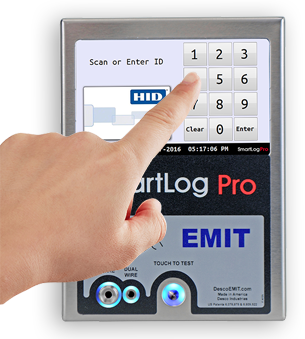 All operator test activity is logged into a database to meet the ANSI/ESD S20.20 requirement for “Compliance verification records shall be established and maintained” and for on-going quality control purposes. 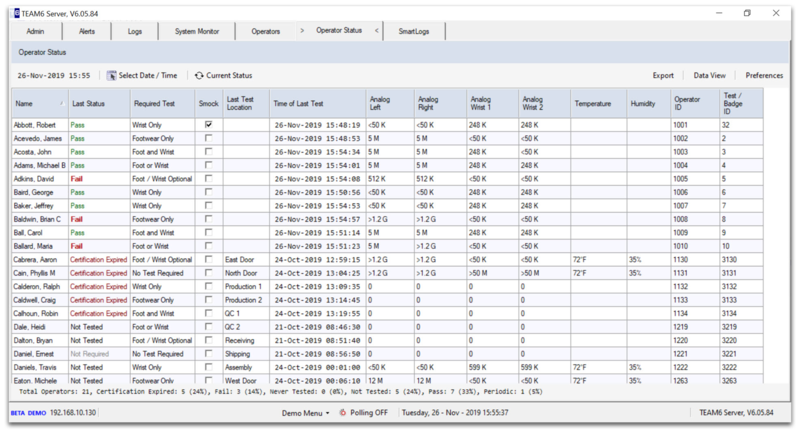 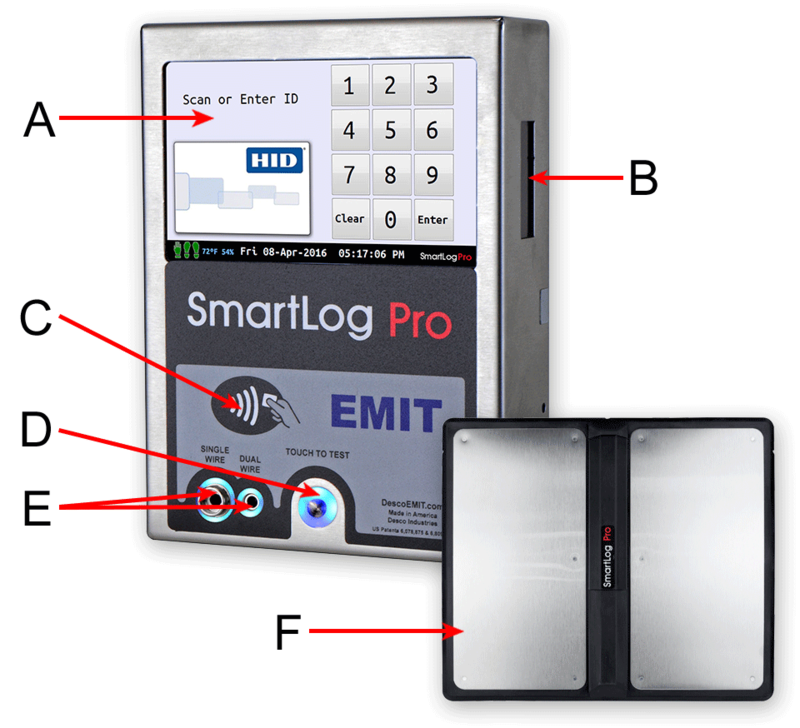 Each log entry includes operator identification, test results, resistance measurements, time, temperature and humidity. 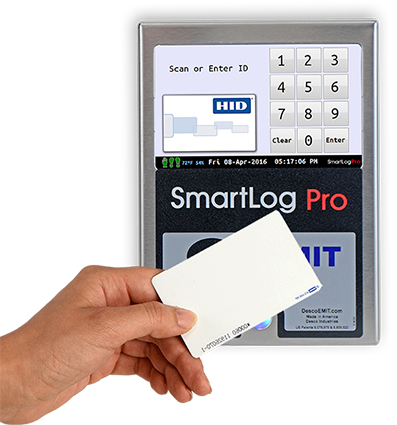 Operator identification and access control is performed using the embedded HID OMNIKEY® proximity reader, barcode reader or touchscreen keypad. 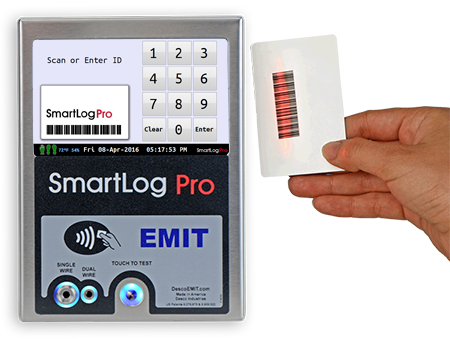 Access control to an ESD Protected Area can be further enforced by using the relay terminal on the SmartLog Pro®. 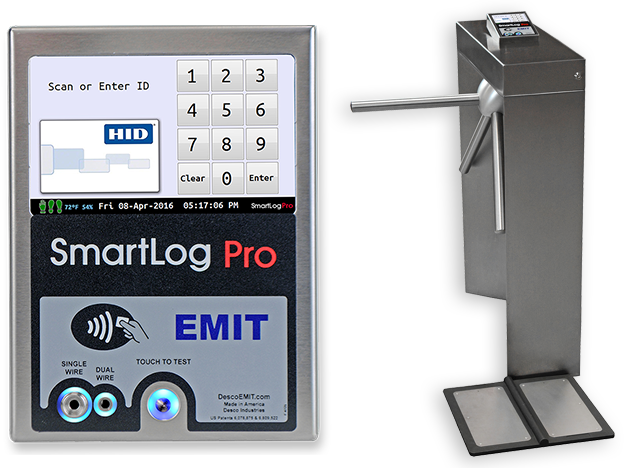 It can be connected to an electronic door lock or turnstile to grant access only to those who have passed their pre-defined ESD tests. 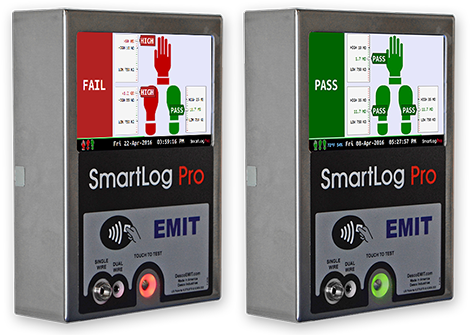 Paperless data can enhance operator accountability, immediately identifying problems while reducing logging and auditing costs. 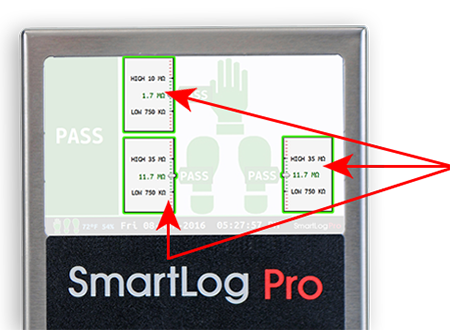 Paper log systems can initially be effective but have proven to be inaccurate and ignored over time. 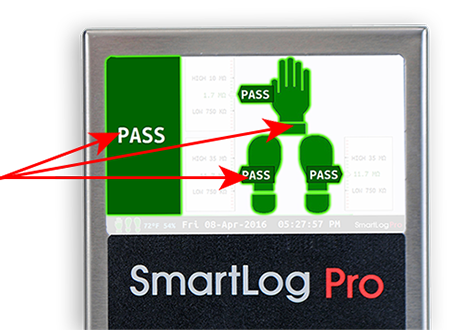 Do your paper logs show any failures? 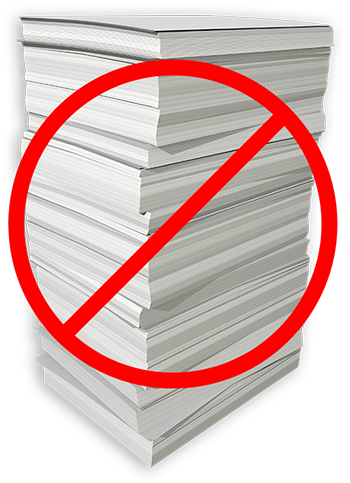 How many failed tests were conducted prior to the written passed result?